Newly Constructed Downtown Studio Apt. Property 5: Newly Constructed Downtown Studio Apt. Property 13: Arctic Dream - Spectacular view of the city and the aurora! Property 15: Private Luxury Mountain Suite Awaits You! Property 17: PRIVATE, central apartment. Close to Las Olas and beach! 6 Miles to airport. Property 20: Near Pearl Brewery - Quick Access to Riverwalk, Alamo, and Downtown San Antonio! Property 21: Cozy downtown loft with KING bed, free gated parking, & free Wifi. Property 27: Hurricane Apt. w/Pool - Near Zion National Park! Luxury apartment in high-rise w/ shared pool, fitness room, and downtown views! Property 31: Luxury apartment in high-rise w/ shared pool, fitness room, and downtown views! Property 33: CONDEAUX Beach V~ACROSS FROM HANGOUT!~Booking Spring Fast!~WALK EVERYWHERE!! Property 34: NEW!! Crystal Sands Beach House II at Indian Rocks Beach! Property 35: LoHi Apartment w/Patio -1 Mile to Downtown Denver! Property 36: Patio Apartment with Panoramic Mountain Views! Property 38: NEW! 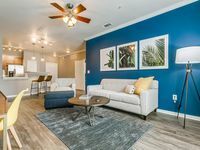 Lakefront Florida Apartment w/Kayak & Canoe! Property 40: 'Soleil Suite' Studio w/Grill & Arroyo River Pier! Property 44: Bryson City Studio w/ Hot Tub - Near Nantahala! 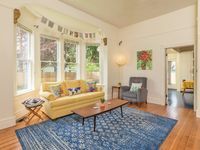 Property 48: Charming Columbia River Gorge Apt - Walk to Dtwn! Property 50: NEW LISTING! NEWLY REMODELED! MOUNTAIN VIEWS, PET FRIENDLY ON 4 ACRES! Nice, clean and secure. Had everything we needed. The only complaint is on checkout day, we stepped out for a few minutes and when we returned, someone had entered the unit. I was before the checkout time and all our belongings were still inside. We felt a little uncomfortable that they entered when no one was there. Our four night stay here was pure delight. Walking distance to The Farmers Market from this location. Great space to relax and enjoy and the sun porch gets cozy for a mid day nap.